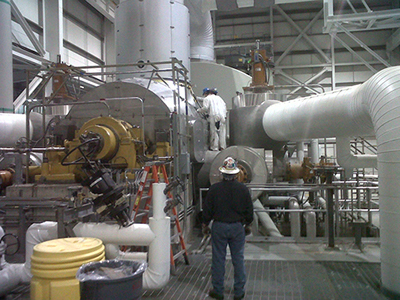 At Anchor Insulation we know that safety, quality workmanship, and dependability are what power plant managers demand. 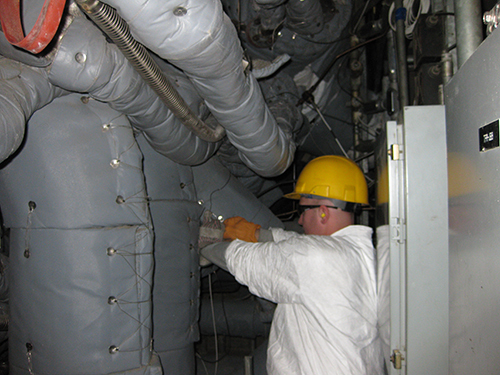 We have proven ourselves in those attributes during over three decades in power generating plants insulation work within the states of Rhode Island ( RI ), Massachusetts ( MA ), and Connecticut ( CT ). Whether a small repair or a full scale outage, dozens of plants count on Anchor’s power plant insulation services to always get the job done safely, ahead of schedule, and within budget. Our schedule has never delayed a start-up. After all, we know that's what you deserve and our managers and power plant insulation installers are ready to surpass your expectations. Anchor's custom fabrication shops are key to success in power plants. 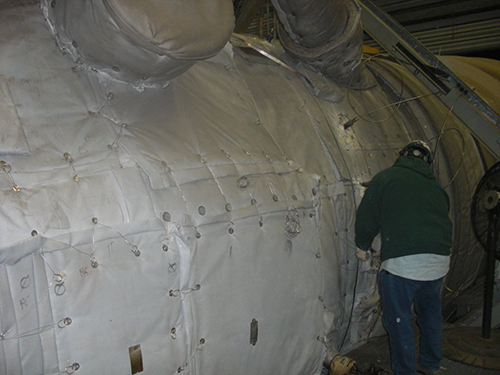 Custom fabricated power plant insulation blankets and metal fabrication work can continue offsite and are staged and ready for fast, efficient installation. Our mobile fabrication trucks are ready for onsite requirements as well. For over three decades our mission has been to always do what's best for our customer. We hope you will give us an opportunity too. Contact us today at 888-438-9612, or online here.